Marylebone Services work with a huge variety of childcare settings in and around London who require Level 3 Nursery Nurses to work on a temporary term time basis, this can be day to day, short or long term. This is a perfect opportunity to work days and hours that meet your requirements and work around your life commitments. 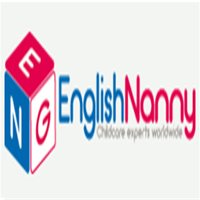 We supply staff to many childcare settings around London, these include Private & Government Nurseries Schools Creches Centres Holiday clubs Breakfast & After school Clubs If you are an Experienced, Qualified and flexible nursery nurse and meet the below requirements then please apply today. Requirements Up to date DBS (if not, this can be done through us) Childcare qualification (minimum level 3) Paediatric First aid Experienced Understanding of the EYFS When you join our agency, you will receive many benefits such as: Competitive rates of pay £9.20-£9.75 an hour Chance to become employee of the month Holiday pay Opportunity to broaden your experience The ability to work on days and times that meet your needs and requirements. If this sounds like the ideal job for you then please apply today and we can arrange for you to come in and register with us. I look forward to hearing from you. A wonderful summer opportunity to work professionally with small groups of under 3-year-olds as a Crèche Team Member in a quality overseas hotel This is an ideal experience for a caring professional, working in a supportive environment with full training provided, should you need it. As a Crèche Team Member, you’ll be caring for our younger guests, providing them with fun, interactive experiences – carefully designed around the government’s Early Years Foundation Stage. It’s a great programme which includes lots of engaging activities, while, at the same time, helping the child’s development. Working as a Crèche Team Member, you’ll be having a fun, rewarding time in a safe, structured, professional environment - while gaining valuable experience for the future. Working with older kids, too To ring the changes on your working week, there’s a great opportunity to work with under 8-year-olds at our popular Kid’s Club. At Kid’s Club, you’ll be guiding and involving children in a series of thrilling, stimulating imaginary worlds. You’ll be leading them through themed adventures, featuring knights and dragons, pirates and princesses or even cowboys and cowgirls. You’ll have as much fun as the children - playing games, creating amazing craft pieces and getting dressed up and into character. Why not get in touch? This is an excellent opportunity! So, contact us today, and let’s chat things over. As a Crèche Team Member, you’ll be making lots of children very happy – as well as helping them make lots of new friends. Here’s what we’re looking for: You must have a minimum Level 3 childcare qualification. You must be enthusiastic, motivated and confident – and enjoy delivering exciting, constructive activities to small groups of children. You must have a warm, caring, outgoing personality. You must want to travel, meet people and be looking for new, worthwhile experiences. You must be aged 18 years or older to start work as a Crèche Team Member. You can apply earlier, but will need to wait until you are 18 to start work with your team. You must hold a valid UK passport. Experience working in hotels or overseas, would be a bonus, but isn’t essential. We’re looking for caring people with the right qualifications who are looking to develop their potential. In2action are committed to ensuring the safest environment for all staff and children therefore all staff must undergo and Enhanced Criminal Check before starting work. Staff Benefits Include: Flights, accommodation and food provided Competitive Salary Full travel insurance Industry recognised training and qualifications All the support and advice you need We’re a friendly, highly professional company, currently involved in recruiting and training teams for over 50 holiday locations, worldwide. We deliver activities to over 300,000 children and adults each year. Our safety record is impeccable and guest feedback is extremely positive. Experienced, empathetic personnel will always be on hand to answer your questions and guide you through what will be the experience of a lifetime. We currently work with companies in the UK and abroad, including TUI, Center Parcs, Canvas Holidays, Hoseasons and Away Resorts, as well as a number of independent operators.